Sony's Play For Elderly Tech Fans: A Wearable Smart Wig? Sony’s engineers have filed a patent for a new form of wearable tech, only this one differs from the watches and glasses currently doing the rounds. Sony’s come up with the idea of a smart wig, with embedded rumble tech to tap the wearer on the scalp when they get a message. 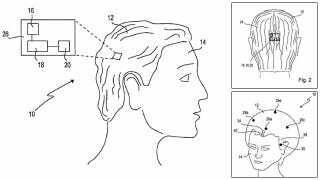 Sony’s patent is absolutely baffling from the very first sentence, in which it tells us it can foresee a future for a “Wearable computing device, comprising a wig that is adapted to cover at least a part of a head of a user.” The smartwig would be tethered to a partner device, which would then tell its head-based companion to vibrate whenever there’s something actionable going on on the smartphone.